Concepts You Need to Know to Increase Your Wealth! HomeOpinionsConcepts You Need to Know to Increase Your Wealth! At a glance, income, investment and wealth seem to be similar and we do not pay any particular attention to their specific meaning. However, if we analyse deeply there are some fundamental differences among each of these concepts and knowing these differences can help us better devise our financial goals in our life and thus achieve financial security. Income is something that you earn on a regular basis from either your work or investment. If you are earning an income from a job, it is important to note that this income is a trade-off for the time you devote to that job. If you do not or cannot devote your time, you lose your income. For instance, if you become sick and are unable to work, then your income will stop. However, if you are earning an income from an investment, such as dividend from stocks, rental income from your properties, passive income from your blog and so on, you will receive an income without devoting your time. Since there is no need to swap your limited time for this income, the potential of you earning this income is technically unlimited. If you are putting your money into something that will provide you income on a regular basis in the future that is investment. Buying a house to live is not an investment. However, buying a house to rent it to others is an investment. Therefore, it is important to note this difference if you want to increase your income and wealth. Money earning interest, stocks, vending machines, and so on are your investments. Basically, if you are putting your money into something to get regular return in the future that is investment. Wealth is your collection of savings or liquid assets such as stocks as well as any ownership of anything that has monetary value. 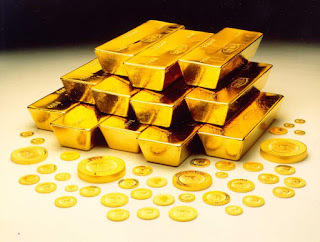 You can accumulate wealth in any form such as land, house, car, gold, and so on. Wealth is created from savings of your income. However, if you invest, then you are increasing your income and therefore, increasing your rate of wealth creation. The wealthier you become, the lesser you need to rely on your income. For instance, if you do not have any job and nothing as a wealth, you will struggle to meet your financial needs. However, if you have vast amount of wealth but no any source of income you will still be able to meet your financial needs easily by liquidating your wealth. Therefore, wealth is the storage of your income for future use. While planning your personal finances it is important to manage your income such that you are increasing your sources of income. Therefore, it is always a better to buy an assets (invest) rather than properties or wealth which does not create a source of income for you. The more income sources you make the more you increase your chances of increasing your income and ultimately properties. However, if you buy properties that do not generate income, you might get poorer in the long term, since most of the properties including your house (except the land) depreciate their value with time. If you got a few minutes to spare every month, then think about how much income, assets and wealth you currently possess; what is your financial goal, and how can you make your financial goal happen? If you do not have any assets or wealth then you need to start saving. If you have assets and income then you are going good and should focus on buying more assets. If you have wealth that does not provide you income, then you should sell it and invest your money in assets which provide you cash income. Wealth that might not generate income will still have maintenance cost, and therefore, it will drain your income. Therefore, it is highly important to focus on assets. Assets also have a maintenance cost, but they will earn that cost themselves and therefore you won't need to take money out from your pocket.